Novak Racing Honda Civic EK9 @ GTA Super Lap Battle 2018 – MoMoHitsTheSpot! The Super Lap Battle event has been the grand finale of the time attack season in the U.S. since its inauguration in 2004. 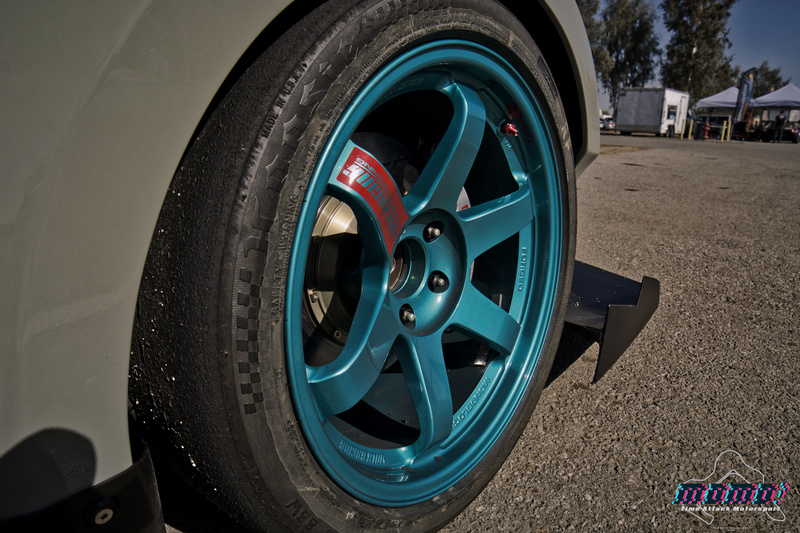 Every year since then, Buttonwillow has played host to this fall classic that brings in some of the best time attackers from near and afar. This year was no different as 80+ time attackers tested their cars to the limit against their worst enemy, time. Some had better luck than others, but they all competed on a very high level in this two day event. But… before I get into the details of some of these cars, I want to continue to highlight some of my favorites from the event. 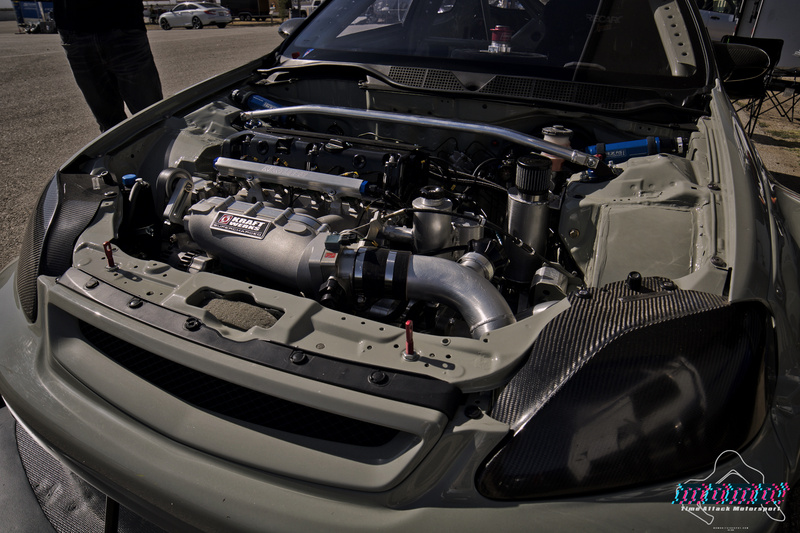 So, next up is the Novak Racing EK9 built by Ryan Novak and driven by Alex Peng of Momofoolio Racing. 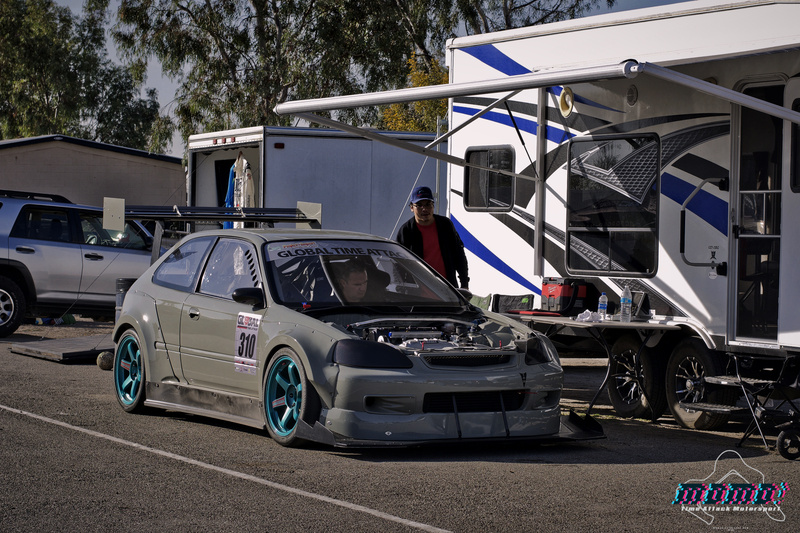 Judging by these photos so far I think you have an idea of why this car was one of my favorites… I mean as far as time attack cars goes, this is one of the cleanest examples that I’ve ever seen Stateside. 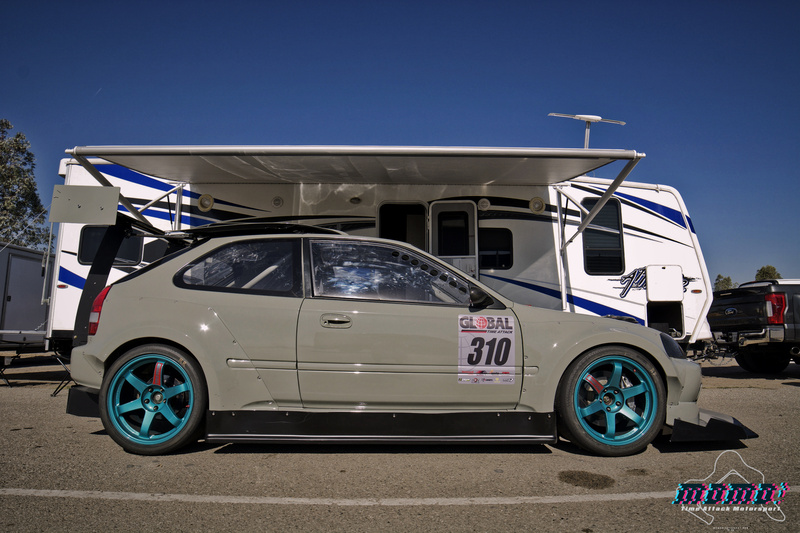 To me, it’s kinda reminiscent of the Japanese time attack Civics… think Garage Work perhaps. It has this sort of refinement to it that’s a little difficult to put into words, I guess you can say it’s functional yet aesthetically very appealing. The M&M Honda Racing wide body looks absolutely gorgeous on this EK, and the fact that the car is lacking any livery really shows off its beautiful lines. Hyper Green TE37 looks so good, especially with that Fashion Grey backdrop. I went back to shoot this car on multiple occasions during the day and caught the guys relaxing in the late afternoon… this car seemed to be hoodless every time I walked by, but I ain’t complaining though. So, there you have it! It’s a short little post but hope you guys enjoyed it regardless… I’ve got more coming so stay tuned!